The Woodland Trust is the UK's largest woodland conservation charity. They have more than 500,000 members accessing their 1,000 sites. 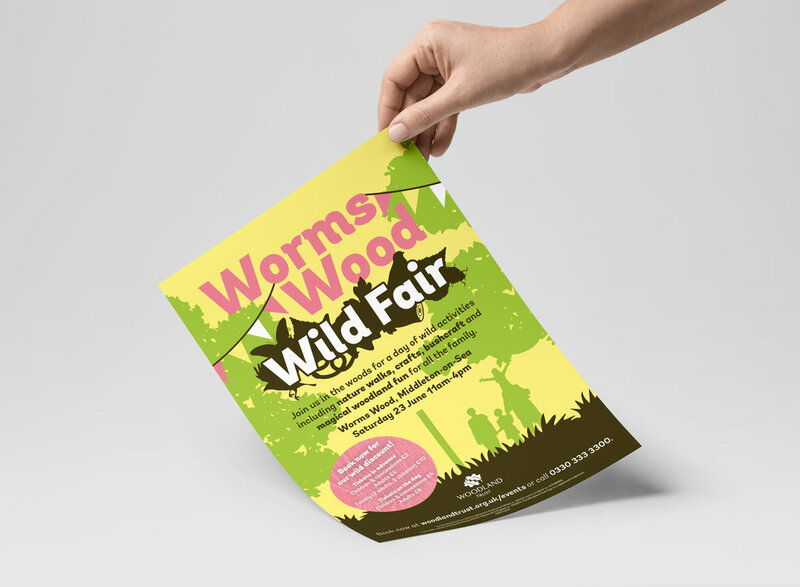 We work with their South East team to help visitors navigate woodlands and promote special events. Woodland Trust commission us to draw and illustrate their maps for several of their woodland sites, using a friendly, easy to understand illustration style. We also design collateral for special events including well-being festivals, first world war exploration days and wild adventure events. We start by creating a unique visual theme that aims to bring the tone of the event to life, which is then rolled out across a variety of online and offline promotional materials.